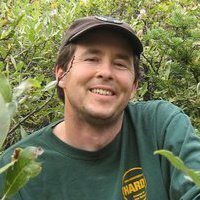 Last Sunday, I attended the “Celebration of Life” for Hardy Macia, former chair of the Vermont Libertarian Party and one of Vermont’s greatest Libertarian-activists. It was very moving to see so many people express how much he touched their lives. I knew Hardy for a short time when he lived here in Vermont and my involvement with him was through his political efforts. I first met Hardy when he ran for governor. I was just learning about Libertarianism at the time and discovered the Libertarian Party in Vermont had a candidate for governor. I had contacted him by email I believe and then he surprised me by calling me and asking to meet at my home. I was so surprised at the offer. He had showed up that day and he explained a whole lot about the party and his campaign. Hardy was very straight-forward about how he felt about a variety of issues. It impressed my wife Heavenly and I so much we both got involved with his campaign and the party soon after. Since then, I’ve witnessed him campaign and work so passionately for the cause of liberty for all. He showed much dedication and optimism in everything he worked on. Everyone seemed to like him, even those who didn’t agree his beliefs. People knew he was the real deal, even if they didn’t agree with his positions, they knew he was doing what he felt was right and they respected that. He inspired me to run for local office myself and he was very helpful throughout the process and provided much support and encouragement. He was a crucial part of the party here in Vermont and we’ve missed him very much since he left for New Hampshire. I have committed to keeping the party alive here in Vermont since he left and will continue to as long as I can. I’m sure he will be widely missed by his New Hampshire friends as well. You will be missed Hardy… may you rest in peace! Atlas Shrugged Comes to Vermont! Atlas Shrugged Part 1 will begin showing at Essex Cinemas on April 29th. If Gary Johnson decides to run for president in 2012, he could be a good possible candidate. However, he would most likely run as Republican which would most likely mean he will not get too far as I don’t believe the National Republican party would let him get too far, they would most likely do whatever necessary to marginalize his efforts, like what happened with Ron Paul. He will not make it past the primary. I would rather see him seek the Libertarian nomination or run as an independent so that he could at least be in the race when it comes time for the people to vote. 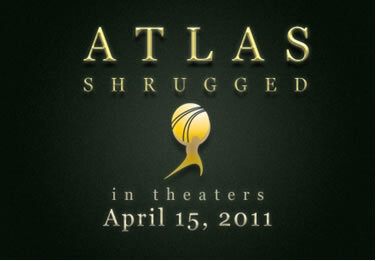 Atlas Shrugged is coming to theatres April 15th… let them know that you want to see it here in Vermont! The official Atlas Shrugged movie website now has a their own proprietary “Demand Atlas to your town!” service. Just go to the link and enter the zip code 05401 (for Burlington) and your email. You should enter 05401 to help concentrate the requests to better our odds of getting a showing. This can really make a difference in whether it’s shown here or not… they are monitoring these requests closely. Remember, Atlas Shrugged is an independent film, being distributed independently. It’s up to us to make things happen and US includes YOU. Dagny Taggart (Taylor Schilling) runs Taggart Transcontinental, the largest remaining railroad company in America, with intelligence, courage and integrity, despite the systematic disappearance of her best and most competent workers. She is drawn to industrialist Henry Rearden (Grant Bowler), one of the few men whose genius and commitment to his own ideas match her own. Rearden’s super-strength metal alloy, Rearden Metal, holds the promise that innovation can overcome the slide into anarchy. Using the untested Rearden Metal, they rebuild the critical Taggart rail line in Colorado and pave the way for oil titan Ellis Wyatt (Graham Beckel) to feed the flame of a new American Renaissance. Hope rises again, when Dagny and Rearden discover the design of a revolutionary motor based on static electricity – in an abandoned engine factory – more proof to the sinister theory that the “men of the mind” (thinkers, industrialists, scientists, artists, and other innovators) are “on strike” and vanishing from society. 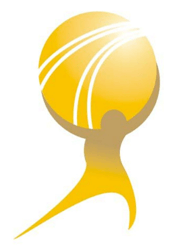 Atlas Shrugged was first published in 1957 and has been one of the most influential books of all time. Ever since, fans have been waiting for a film based on it and now here it comes. Banking stocks are down a bit today, including Merchant’s Bank (MBVT), as a result of an Massachusetts court decision against Bank of America (BAC) which voided a couple foreclosure sales the bank made, which violated Massachussetts law. Banks such as Bank of America were buying and reselling packaged mortgage-backed securities, and because the mortgages got passed around so much, it was difficult to keep track of who actually held the mortgage at any given time and the law in Massachussetts requires that any foreclosure sale be initiated by the party holding the mortgage and when these two particular forclosures happened, apparantly Bank of America didn’t have the right to do it. Merchant’s Bank is based in Vermont so what happens in Massachussetts doesn’t matter to Merchant’s Bank, unless of course in the long term our state adopt similar laws. However, Merchant’s Bank never engaged in the risky sub prime mortagage market that banks such as Bank of America did. Merchant’s keeps most of the loans they write and therefore is more carefull and has less problems with foreclosure than most of the large banks. It is common for a problem with an industry’s largest player to affect the share price of all players in an industry. People hear something bad about the big player they automatically sell any positions they have in any player in the industry. Combine this along with the fact that Merchant’s Bank’s PE is currently below 10, a dividend well over 4%, and growing earnings makes the stock very attractive today. Since I already have a large percentage of my investments in Merchant’s Bank I took the opportunity to add more to my position today but with the understanding that this will be a short term trade. I believe that within a short term, the fall in the share price today will be reversed at which time I will sell the shares I purchased today. Today the Combating Online Infringement and Counterfeits Act (COICA) passed the Senate Judiciary Committee on a 19-0 vote. COICA would empower the attorney general to get court orders barring Internet providers from routing their users to sites suspected of copyright infringement. 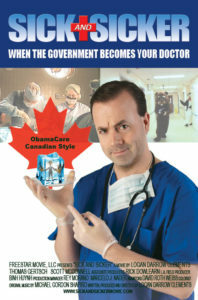 Many people are concerned about this due to the possible unintended consequences that these types of government actions often have. Read the COICA Fact Sheet by DemandProgress.org for more details and reasons to be against it. They also have a petition to sign if you like. While at first the idea of a bill that allows the government to prevent access to websites that are breaking the law seems ok, but who sets the standards? What will happen down the road if the precedent is set that it’s acceptable for the current Attorney General to blacklist a website that he or she feels is “dedicated to infringing activity,” simply with a court order? We really need to be careful with this kind of thing. We must remember that the people in power change and if you feel safe with the current people in power, you must realize that it will not always be them in control and eventually your freedom to view or express what you like online could be censored by an administration that doesn’t believe you have the right to express or view these ideas? Law professors and internet engineers have expressed their concerns with the bill…. – Ninety-six pioneering Internet engineers have signed an open letter calling COICA a dangerous, unsound measure that would “risk fragmenting the Internet’s global domain name system.” The man who invented the Web itself, Tim Berners-Lee, doesn’t like this bill, either. I think we really should continue with the current process of allowing any complaints to go through the normal court process. I believe this push by the media companies is due to recent losses of cases by them against YouTube.com, where YouTube.com was claimed to not be enforcing copyright protections. However, the courts found that as long as YouTube.com was taking down the videos that were in violation within a timely manner after being notified, they were not at fault. Of course the media companies would prefer an easier solution than having to notify websites like YouTube.com every time they find material that violates their copyright, so then enters the COICA bill. Now, they would probably just need to convince the Attorney General to add a site like YouTube.com to the list and they would be all set. This is why representatives for Google, Amazon and Ebay were all in attendance pushing for this bill not to be passed. They understand the risks involved. Google owns Youtube.com, so of course they are concerned. Ebay and Amazon have problems with people posting counterfeit goods for sale, so they are at risk as well. Now why would someone like Leahy who has had a reputation for being good at protecting freedom of speach propose such a bill. Well, I say follow the money. If you check out Leahy’s campaign contributions, you will see that 3 of the top 5 contributor sources are media companies (Time Warner, Walt Disney and Vivendi). Time Warner (3rd largest donor) is the company behind The Dark Knight, the movie that Leahy got a small part in. I would guess that his relationship with the film/company and the campaign contributions plays no small part in why he is supporting this bill to make things easier for them. Unfortunately, in this case, it appears that Leahy is working to protect the interests of the media companies… not for our freedom of speech online. It’s quite ironic that while President Obama recently urged repressive regimes around the world to stop censoring the Internet, Leahy and other congressmen proposed to censor the Internet here at home. For several months now we have been testing Google Voice with our businesses. Overall it’s worked out quite well. The phone call quality is quite good and the extra services are great such all your voice mails being stored in a similar manner as gmail. It makes it much easier to sort them, file them and search them when needed later. When you miss a call, the message is saved and you are notified by email when a new one arrives. Google Voice also attempts to transcribe all messages for you. It’s usually quite good, at least enough where you can figure out who and what the call is about before even playing the message. You can then tag the message with your own notes to further clarify or to remember things you want to say when calling back. Another great feature is the call fowarding. Simply add any phone number to your Google Voice account and all calls are fowarded to that new number. Then, there’s the Do Not Disturb feature, which allows you to turn off phone calls and route them directly to voice mail if you are out or are finished work for the day. Making calls is also so much easier. If you call the same person over and over, simply start typing their name or number and Google Voice will attempt to find the contact as you type then hit enter and Google Voice makes the call for you. The BEST part is that all calls within the US are FREE. How Google Voice does this is when you make a call, Google calls you and then calls your recipient and connects you to, so no charge for either party. The calls are free, the local phone number is free… you only pay very low fees for international calls at this time. The only drawback is that on a rare occasion making calls won’t work, but this is very rare and if this happens simply make the calls the old way until you can make phone calls on Google Voice again. I assume that this is most likely due to large numbers of people signing up. Definately worth a try for your business… it will boost productivity and slash your phone bills.